The valuations set for each round of financing can have significant consequences for startup investors and entrepreneurs. Thanks to new and improved startup resources, it’s now much easier to understand how high startups can value their company. However, the question of how high a startup should be valued is a little more complicated. To navigate this, I’ve put together a definitive guide based on my experience as an active angel investor and the resources we’ve compiled for our MergeLane accelerator. Below is a list of questions startups and investors should answer before agreeing to a valuation in an equity round or a convertible debt valuation cap (more on why understanding valuation caps is important). 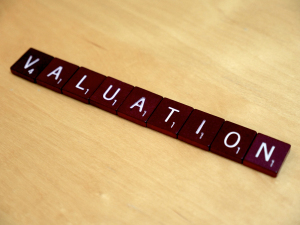 First, the easy question: What is the fair market valuation, i.e., the valuation an investor or startup can get? How are similar startups being valued? The Halo Report and AngelList are great free resources for this. Mattermark and CB Insightsprovide more comprehensive data. How does this startup compare to similar startups? I think the Scorecard Method is the easiest way to answer this question. Check out Slides 11-13 of this presentation from the Angel Capital Association’s Best Practice Series: Valuation of Early Stage Companies webinar. What is the current market condition? Economic conditions affect startup valuations. For example, startup valuations hit an all-time high in the second quarter of 2015. If I were valuing a company during the down market of the first quarter of 2016, I would look at 2013 valuation data to arrive at a reasonable price. Next, the more complicated question of how a startup should be valued. To start, this podcast is helpful for gaining a broad understanding of startup valuations. Having a financial professional to help answer these questions is crucial. How much capital does the company need? How much money does company need to raise to support 18 months of operations? Because fundraising is distracting and time-consuming, I and most of the investors I know want companies to raise at least 18 months of runway. How much money will the company need to raise in the future? This is a guessing game, but I look at how much competitors have raised to date via the free resources AngelList and Crunchbase. When and at what valuation will the company likely raise its subsequent rounds? Median valuation increases by industry. The PitchBook produces an easy-to-read, biannual report (Google “PitchBook Valuations & Trends Report” to find the most recent one). The early-stage valuation-by-year chart in this blog post is helpful as well. Recent financings of the company’s competitors: AngelList and Crunchbase are great free resources for this. Mattermark and CB Insights provide more comprehensive data. How much equity should the founders and employees retain? Entrepreneurs who raise multiple rounds of capital typically retain 5%–20% equity at the time of exit. The valuations of each financing round determine where the founders fall within that range. Mark Suster wrote a great post on founder dilution that helps to explain some of this. After understanding how much the company will need to raise in the future and the likely pricing of those rounds, you can figure out how much equity the company can afford to give up in the seed rounds. Once you have this number, you can compare this to industry norms by dividing the median round size by the median valuation in the most recent Halo Report. Adjust this for market conditions if appropriate. Most investors look for a 10%–15% option pool, so don’t forget to include that in the equation. Where a startup falls on that spectrum depends on its future needs for talent and whether the startup will likely raise VC funding (option pool refresh is often required) before making those hires. That’s why I think it is so important to work with a financial professional and to have a good lawyer. While the cost of this might seem high in the early days, I’ve seen the return on investment 100 times over. Are you working with a financial professional? Do you have a good lawyer (tips for choosing a startup lawyer)? Have you listened to this podcast? At a minimum, have you researched valuations on the Halo Report and AngelList? Have you scored your company with this scorecard? Check out Slides 11-13 of this presentation from the Angel Capital Association’s Best Practice Series: Valuation of Early Stage Companies webinar. Can you answer all of the questions posed in the post above?